Bilbareed facilitates the design and delivery of electronic invitations and greeting cards designed by the region’s most creative talent. Users can customise designs in Arabic, English or both to create their own invitations, greeting cards and stationery, send them out and track delivery information. Bilbareed allows us to recognize our unique celebrations, from Eid to Mubarakas and more by featuring designs for occasions specific to our culture. Bilbareed is the natural evolution for hosts around this part of the world, famous for gracious and generous Arab hospitality. 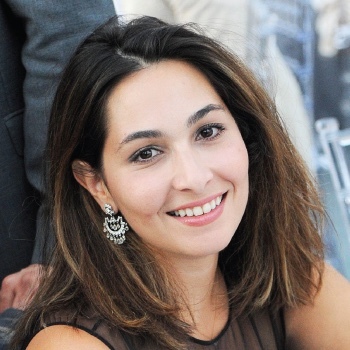 Born and raised in Jeddah, Saudi Arabia, Basma went on to Bryn Mawr college in Philadelphia to study French Literature. She spent time in Paris, Dubai, NYC, London and where she pursued another degree in Nutrition Sciences before returning to Saudi. She is curious, competitive, and always up for the next challenge. 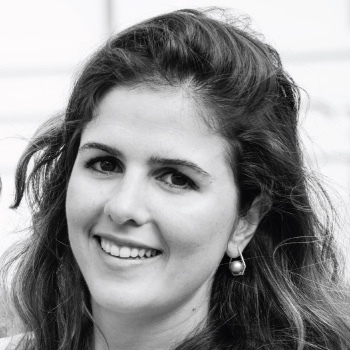 A curator and collector, Dana has spent the last decade working in art, with a focus on the Arab world. Dana studied History of Art at Brown and the Courtauld before working at MoMA and The Guggenheim. She is on the board of Bidoun Projects, MoMA PS1, Creative Time and Art Dubai. Dana is also a serial hostess and loves to entertain! 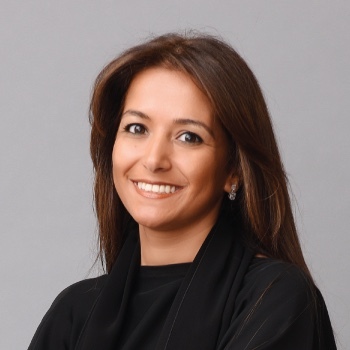 Huda has worked in private equity for over 12 years and is currently CIO at the Savola Group. She is a board member of a number of MENA companies and is a frequent speaker at conferences.She is also a member of the Young Arab Leaders. Huda has a B.S. in Neuroscience and a BA in Economics from Brown. She is petite, but fierce and loves to clean stuff! These terms of service ("Terms", "Agreement") are an agreement between Bilbareed FZ LLC ("Bilbareed FZ LLC", "us", "we" or "our") and you ("User", "you" or "your"). This Agreement sets forth the general terms and conditions of your use of the http://www.bilbareed.com website and any of its products or services (collectively, "Website" or "Services"). "United Arab Emirates" is our Country of Domicile. We control this Site from the U.A.E. If you use this Site from other locations you are responsible for ensuring compliance with local laws. If you create an account at the Website, you are responsible for maintaining the security and confidentiality of your account and you are fully responsible for all activities that occur under the account and any other actions taken in connection with it. Providing false contact information of any kind may result in the termination of your account. You must immediately notify us of any unauthorized uses of your account or any other breaches of security. We will not be liable for any acts or omissions by you, including any damages of any kind incurred as a result of such acts or omissions. We may suspend, disable, or delete your account (or any part thereof) if we determine that you have violated any provision of this Agreement or that your conduct or content would tend to damage our reputation and goodwill. If we delete your account for the foregoing reasons, you may not re-register for the our Services. We may block your email address and Internet protocol address to prevent further registration. Any person who is attempting to use the Website who is a Minor (under the age of 18) shall not register as a User of the Website and shall not transact on or use the Website. You shall pay all fees or charges to your account in accordance with the fees, charges, and billing terms in effect at the time a fee or charge is due and payable. Where Services are offered on a free trial basis, payment may be required after free trial period ends, and not when you enter your billing details (which may be required prior to the commencement of the free trial period). If auto-renewal is enabled for the Services you have subscribed for, you will be charged automatically in accordance with the term you selected. If, in our judgment, your purchase constitutes a high risk transaction, we will require you to provide us with a copy of your valid government-issued photo identification, and possibly a copy of a recent bank statement for the credit or debit card used for the purchase. We reserve the right to change products and product pricing at any time. User who is Cardholder must retain a copy of the payment confirmation of any transaction on our website. The Cardholder must retain a copy of transaction records and our (Merchant) policies and rules. User will usually receive the payment confirmation by email within 1 hour after a successful transaction. We do NOT offer a Refund policy. Once the user pays for any product or service on the website, then the payment transaction will be processed immediately. A Refund policy is available to the user only in case an error occurred in the payment process and the payment process was not completed successfully on our service side. We do NOT offer a Cancellation policy for the products and services on our website. Occasionally there may be information on our Website that contains typographical errors, inaccuracies or omissions that may relate to product descriptions, promotions and offers. We reserve the right to correct any errors, inaccuracies or omissions, and to change or update information or cancel orders if any information on the Website or on any related website is inaccurate at any time without prior notice (including after you have submitted your order). We undertake no obligation to update, amend or clarify information on the Website including, without limitation, pricing information, except as required by law. No specified update or refresh date applied on the Website should be taken to indicate that all information on the Website or on any related website has been modified or updated. As a Merchant, we are not responsible for the privacy policies of websites to which we link. If you provide any information to such third parties, different rules regarding the collection and use of your personal information may apply. You should contact these entities directly if you have any questions about their use of the information that they collect. In addition to other terms as set forth in the Agreement, you are prohibited from using the website or its content: (a) if you are a Minor (under the age of 18 years old); (b) for any unlawful purpose; (c) to solicit others to perform or participate in any unlawful acts; (d) to violate any international, federal, provincial or state regulations, rules, laws, or local ordinances; (e) to infringe upon or violate our intellectual property rights or the intellectual property rights of others; (f) to harass, abuse, insult, harm, defame, slander, disparage, intimidate, or discriminate based on gender, sexual orientation, religion, ethnicity, race, age, national origin, or disability; (g) to submit false or misleading information; (h) to upload or transmit viruses or any other type of malicious code that will or may be used in any way that will affect the functionality or operation of the Service or of any related website, other websites, or the Internet; (i) to collect or track the personal information of others; (j) to spam, phish, pharm, pretext, spider, crawl, or scrape; (k) for any obscene or immoral purpose; or (l) to interfere with or circumvent the security features of the Service or any related website, other websites, or the Internet. We reserve the right to terminate your use of the Service or any related website for violating any of the prohibited uses. We may terminate the privileges of any user who uses this Site to unlawfully transmit copyrighted material without a license, express consent, valid defense or fair use exemption to do so. If you submit information to this Site, you warrant that the information does not infringe the copyrights or other rights of third parties. This Agreement does not transfer from Bilbareed FZ LLC to you any Bilbareed FZ LLC or third party intellectual property, and all right, title, and interest in and to such property will remain (as between the parties) solely with Bilbareed FZ LLC. All trademarks, service marks, graphics and logos used in connection with our Website or Services, are trademarks or registered trademarks of Bilbareed FZ LLC or Bilbareed FZ LLC licensors. Other trademarks, service marks, graphics and logos used in connection with our Website or Services may be the trademarks of other third parties. Your use of our Website and Services grants you no right or license to reproduce or otherwise use any Bilbareed FZ LLC or third-party trademarks. To the fullest extent permitted by applicable law, in no event will Bilbareed FZ LLC, its affiliates, officers, directors, employees, agents, suppliers or licensors be liable to any person for (a): any indirect, incidental, special, punitive, cover or consequential damages (including, without limitation, damages for lost profits, revenue, sales, goodwill, use or content, impact on business, business interruption, loss of anticipated savings, loss of business opportunity) however caused, under any theory of liability, including, without limitation, contract, tort, warranty, breach of statutory duty, negligence or otherwise, even if Bilbareed FZ LLC has been advised as to the possibility of such damages or could have foreseen such damages. To the maximum extent permitted by applicable law, the aggregate liability of Bilbareed FZ LLC and its affiliates, officers, employees, agents, suppliers and licensors, relating to the services will be limited to an amount greater of one dollar or any amounts actually paid in cash by you to Bilbareed FZ LLC for the prior one month period prior to the first event or occurrence giving rise to such liability. The limitations and exclusions also apply if this remedy does not fully compensate you for any losses or fails of its essential purpose. You agree to indemnify and hold Bilbareed FZ LLC and its affiliates, directors, officers, employees, and agents harmless from and against any liabilities, losses, damages or costs, including reasonable attorneys' fees, incurred in connection with or arising from any third-party allegations, claims, actions, disputes, or demands asserted against any of them as a result of or relating to your Content, your use of the Website or Services or any willful misconduct on your part. We do not share or sell your personal information to third parties. We do not trade with or provide any services to OFAC and sanctioned countries. All credit/debit cards’ details and personally identifiable information will NOT be stored, sold, shared, rented or leased to any third parties. We as a Merchant will not pass any debit/credit card details to third parties. 1. as required by law, such as to comply with a subpoena, or similar legal process. 4. to any other third party with your prior consent to do so. We as a Site and Merchant take appropriate steps to ensure data privacy and security including through various hardware and software methodologies. We take commercially reasonable measures and follow generally accepted standards to protect the information you provide us, both during transmission and once we receive it. For example, if you provide sensitive information such as a credit card number when purchasing an app or through the app itself, the information you provide is transmitted via encryption using technologies such as secure socket layer technology (SSL). However, we cannot guarantee the security of any information that is disclosed online. No method of transmission over the Internet, or method of electronic storage, is 100% secure. Therefore, we cannot guarantee absolute security of your information. We reserve the right to modify this Agreement or its policies relating to the Website or Services at any time, effective upon posting of an updated version of this Agreement on the Website. When we do we will post a notification on the main page of our Website. Continued use of the Website after any such changes shall constitute your consent to such changes. Modifications will be effective on the day they are posted. This document was last updated on April 24, 2018.